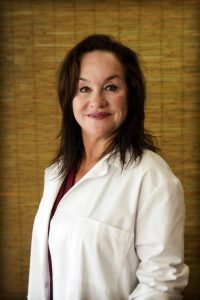 Dr. Ashley Hoyt has been serving the health care needs of the community in Key West for over 20 years. 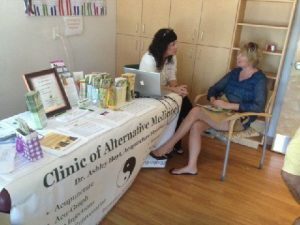 With a background in psychology and pre-med, she has been practicing alternative medicine for over 25 years including Chinese medicine, Acupuncture and therapeutic bodywork. 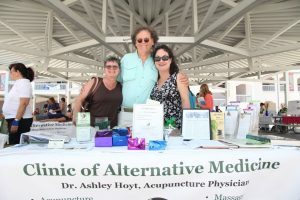 Ashley is committed to teaching us how to live our lives in a peaceful, pain free state. She has dedicated her work to the achievement of wellness and a holistic approach to a healthy lifestyle. Dr. Hoyt has a passion for the beautiful water around Key West and she also generously donates her time to many organizations around the island. 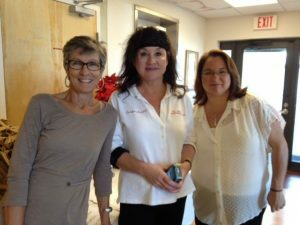 In the above pictures she is working with local organizations in various locations around the island offering her knowledge to the working & general public.